Skylights are a great way to add some additional light to your home. There are many different options to choose from including solar-powered opening skylights with automatic blinds, manual skylights or fixed skylights. 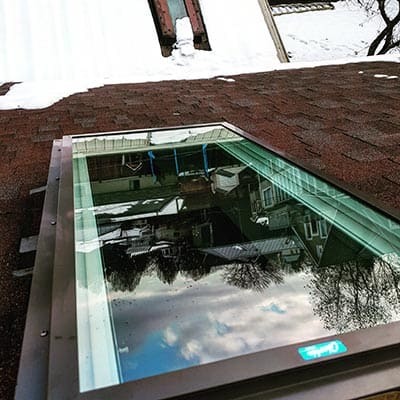 We want to help choose the perfect skylight for you. 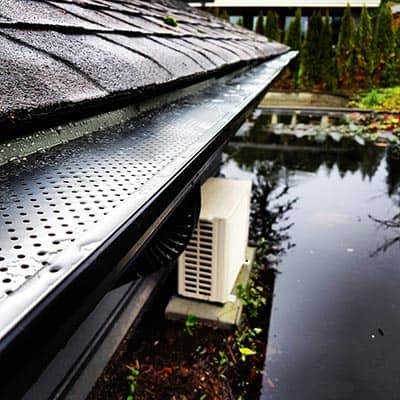 Gutters are a critical component to ensuring you home is fully protected from water run-off. The lifetime of most gutters is between 15-25 years whether they are exposed aluminum gutters or hidden rubber gutters with copper drains. If you are unsure about the condition of your gutter system, it may be a good idea to have an inspection done. Most homes will contain eave and gable fascia boards. 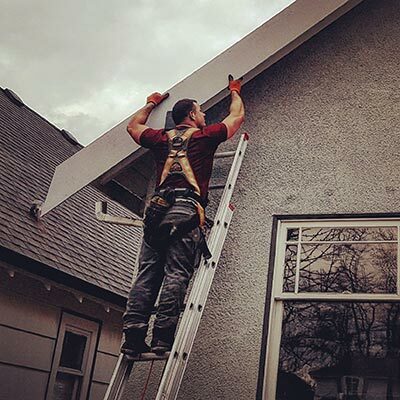 Eave fascia boards are the horizontal board where your gutters are fastened. Gable fascia boards are the diagonal boards which usually add an aesthetic piece to your home. Whether you’d like to have your fascia touched up with new paint or fully replaced, we can help. With flat roofs, ponding water is acceptable but can greatly reduce the l﻿﻿ongevit﻿﻿y of your roof. It speeds up the deterioration process on the membrane resulting in exposed asphalt. Having a slope package installed can help divert water toward the drains and greatly increase the life of your roof.